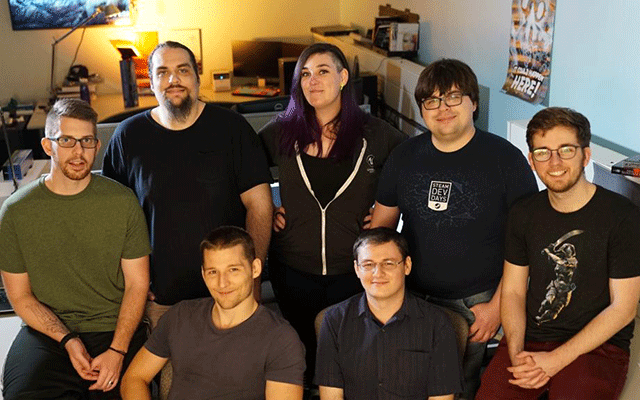 We’re Puny Human, a team of game developers in numerous countries with a wide range of talent. Being spread out, it’s important we stay connected and have fun! As a result, since 2007 our goal has been to: grow talent by learning, making and sharing. When we’re not thinking of new ideas or working through problems, you can find us playing the games that inspire us. Come chat or play with us on Discord, tweet us @PunyHuman, or send an e-mail. If you want to join our team, check out our open positions. We started modifying games for fun, resulting in Dystopia, a dual-reality cyber-punk shooter. Eventually we brought our original ideas to life with Blade Symphony, an artistic tactical sword-fighter and Galacide, shoot ’em up blended with match-4 puzzlers. It’s important for us to explore and learn how others do things. That’s why we’ve offered our help on numerous projects, like Bard’s Tale IV, Mage’s Tale and Wasteland 3 from inXile Entertainment, and VR Time Machine from Minority Media.